I felt the large cylinder inflate with heat, loosened my grip, and let it go. 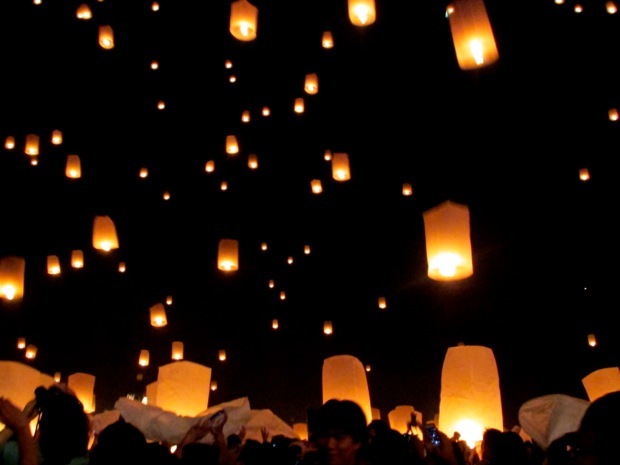 In one harmonious exhale thousands of glowing paper lanterns ascended into the night sky. The beaming vessels soared, liberated, uniting in a sea of glittering stars. Worries, fears, anxiety, and sorrow escaped my grasp, floated on public display, and diminished in the distance. 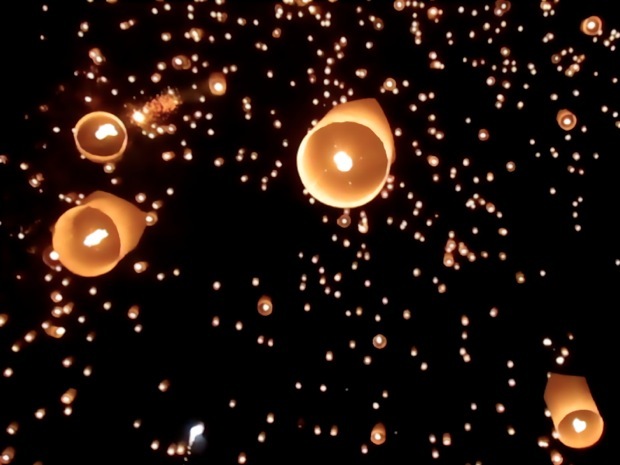 Every year during the full moon of the twelfth lunar month, villages and cities throughout Thailand, Laos, and Myanmar celebrate the festivals of Loi Krathong and Yi Peng. 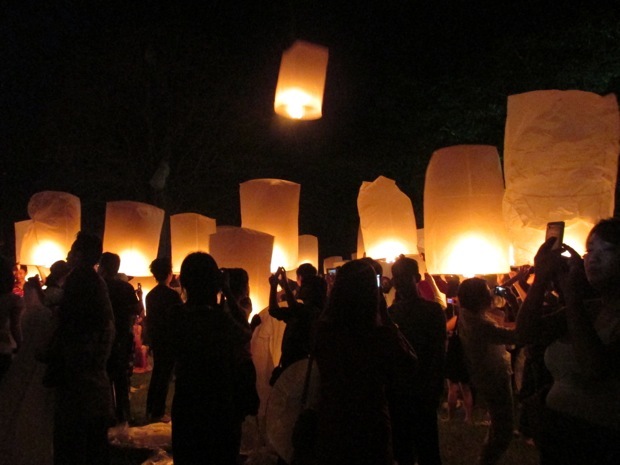 In celebration of Loi Krathong participants float lotuses donned with flowers and candles down the river; for Yi Peng crowds release rice paper lanterns into the sky. The symbolism is the same: letting go of what no longer serves you in your life. 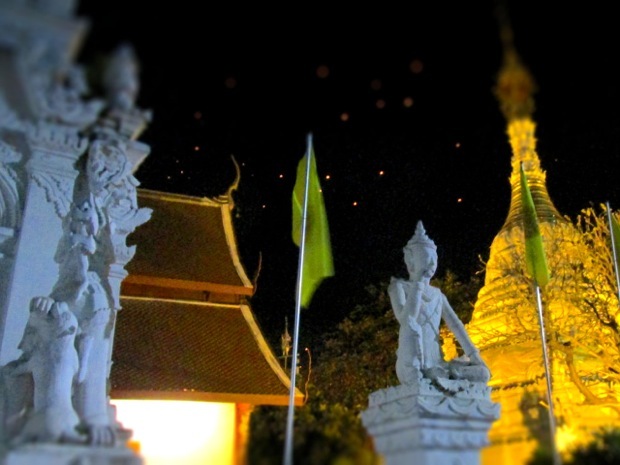 I arrived in Chiang Mai three days before the festival on a high. 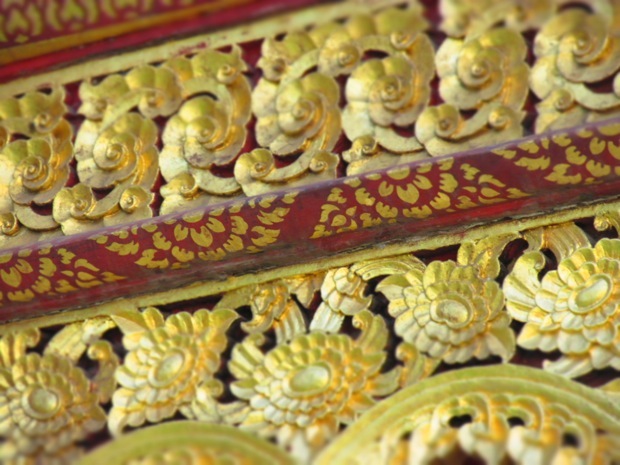 Bangkok wowed me with its incredible temples, kind people, and modern infrastructure. Ayutthaya felt friendly, navigable, and authentic. 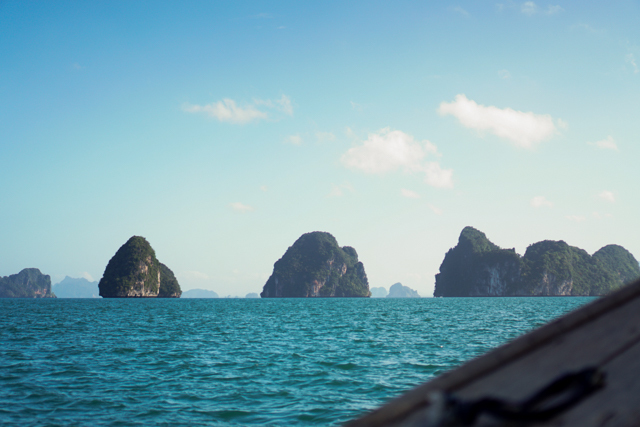 After Vietnam, meeting other travelers, eating cheap delicious food, and experiencing local culture in Thailand could not have seemed easier. For the first time in a long time, I was having fun. 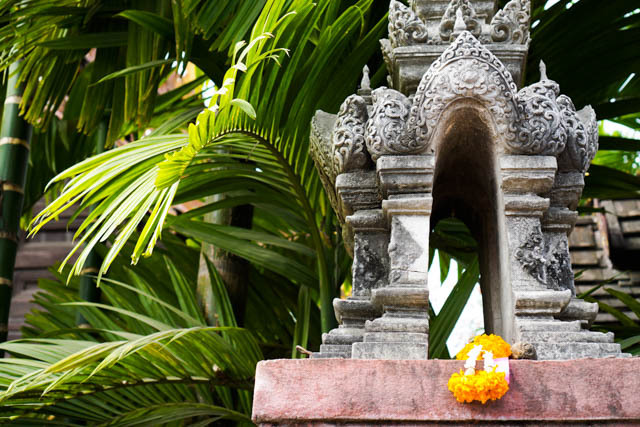 Moments after arriving to Chiang Mai on an overnight bus from Ayutthaya, I donned my yoga pants and headed for the nearest morning class. The joy and gratitude I felt for a luxurious green smoothie and ninety minutes of flowing asana was absurdly overwhelming. An enormous smile adorned my face. Yet by the next day I felt heavy. 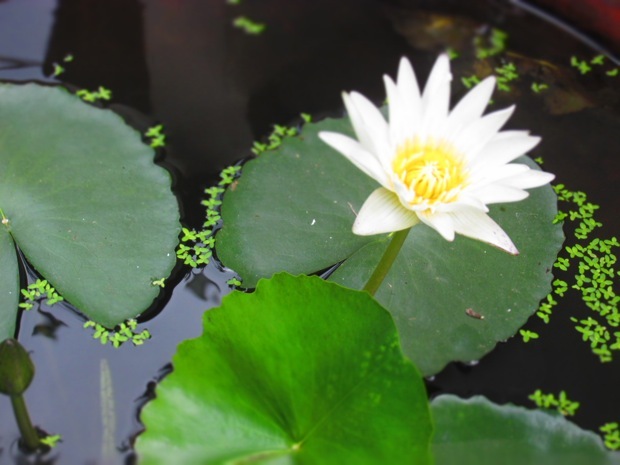 Writing from a place of authenticity while battling personal struggles was tiresome. My mind wandered far from my body and my surroundings. I pelted myself with judgments as I experienced anxiety and insecurity on a level I thought I had grown beyond. After more than a year romance free, I was not at all prepared for the vulnerability of this reality. I felt my walls crumbling and it was terrifying. In the past I buried myself in my relationships. I knew that I never wanted to walk that path again. Nomadic life provided an inherent barrier, preventing me from becoming absorbed by a man. I spent the better part of the last year building walls of water to become a self sustaining island of one. His limits exceeded my own. Choosing unavailable men is a pattern I have enacted throughout my life. Perhaps somewhere deep inside I don’t believe that I am worthy. My relationship with my father has never been secure. He lived thousands of miles away on the other side of the country. I felt showered with love and attention during visits, then deserted and yearning when they ended. This roller coaster of abundance and distance became the formula for my adolescent and adult relationships. Buried somewhere in my core I believed that if the one man who was supposed to want me didn’t, why would anyone else? 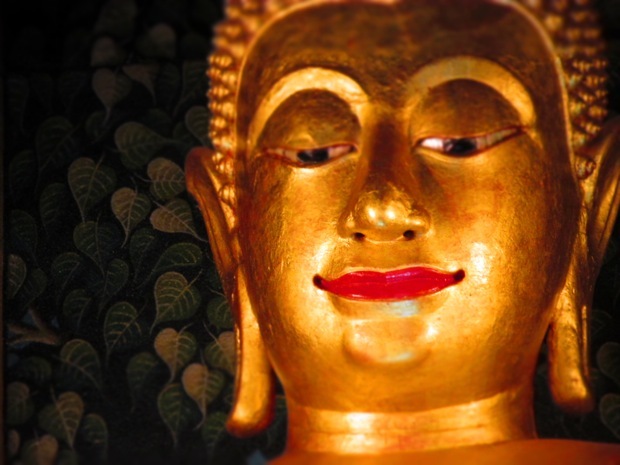 So in Chiang Mai, when I found myself smitten with someone after just one day, my self-protection revved into overdrive. Every instinct told me to run. At one point, I literally did. In doing so I realized the walls made no difference. I left, yet I felt as rejected as ever. I judged myself for selecting someone, yet again, who could not offer me what I deserved. I criticized my inability to free my mind and enjoy the moment. I worried that I could not live without walls without losing myself. I wondered if I was capable of ever having a healthy relationship. I questioned what I wanted for my life; whether I even wanted to continue traveling or writing this blog at all. I contemplated how I could get back to being me. When I entered the temple at Mae Jo for the annual Yi Peng release, consumed with these worries, I felt a million miles from the present. 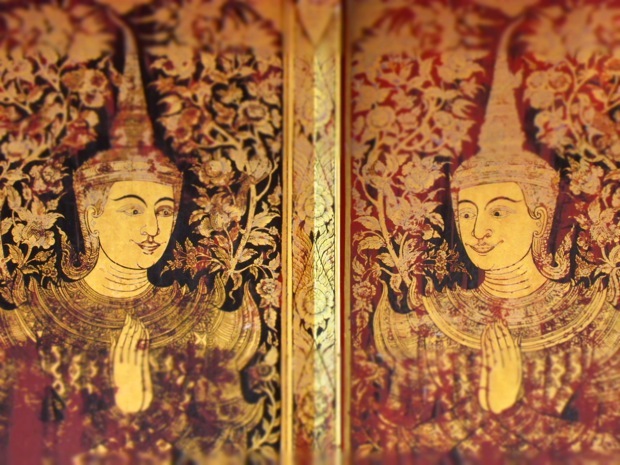 But honoring the spirit of the beautiful Buddhist tradition, I did my best to let them go. 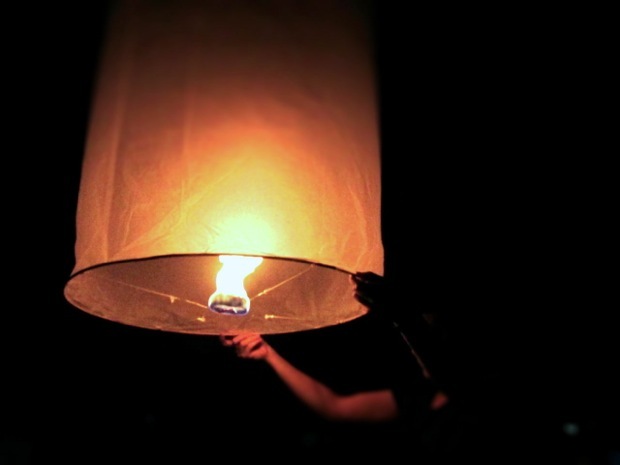 I lit my lantern and consciously imagined myself free from the pressure of how I “should” feel, behave, or be. I deliberately envisioned myself liberated from my own perfectionism. I intentionally visualized myself flying into the expansive, boundless sky. Watching my lantern ascend among thousands of others was nothing short of exhilarating. In fact it was the most beautiful sight I have ever seen. For the days that followed, I allowed myself to be vulnerable. I allowed myself to feel. I lowered my walls and opened my heart. I bathed in the fleeting moments I had with him, aware of their impermanence. I practiced self-care instead of self-protection. Then, despite my desire to hold on tightly, despite my tendency to force something to fit, I looked to my individual path and purpose. I honored the present moment with the awareness that I was destined for so much more beyond it. I remembered what lit my internal fire. Most accommodations fill up in advance for the days surrounding the festival. While normally I book last minute, and only for one night, to ensure you have a room during the festival, I advise booking at least one week in advance. 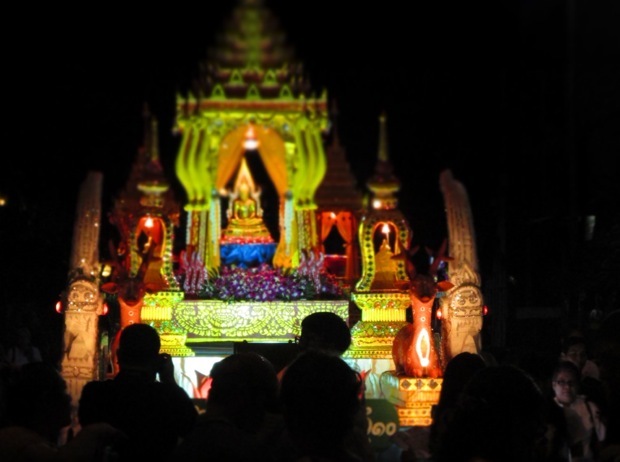 Celebrations happen in Chiang Mai the entire week before the festival. On the actual festival days there are plenty of events scattered around and outside of the city. 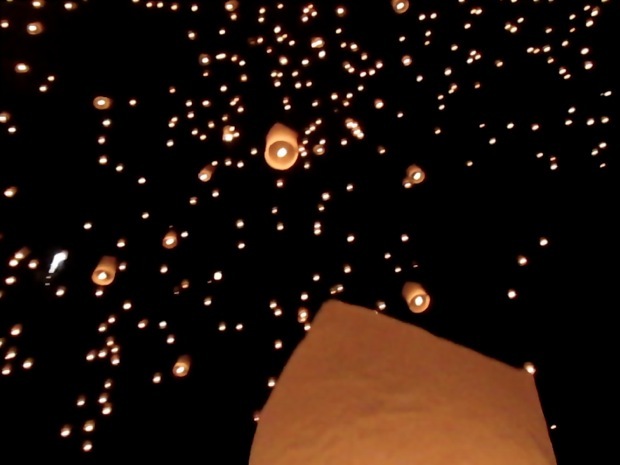 The largest, most photographed lantern release happens at the temple near Mae Jo University about 13km outside of the city. DO NOT MISS IT! This celebration is held the day before the full moon. 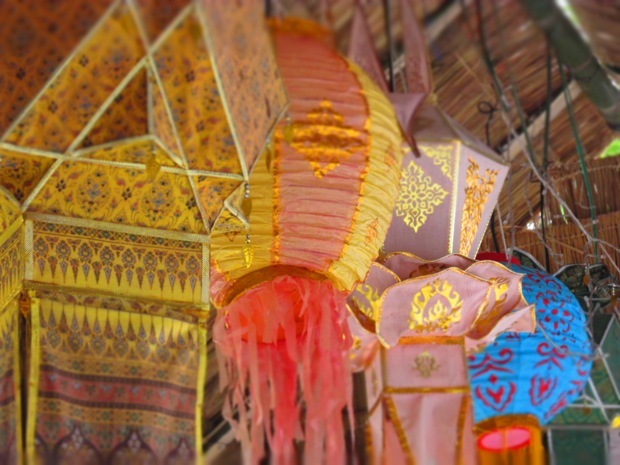 The largest release of the krathongs happens on the night of the full moon on the Yee Peng river. Parades, chanting, and other events are held all weekend long. The city turns into a big of a madhouse with lanterns catching trees on fire and fireworks going off in the middle of the street. The temple at Mae Jo fills up with huge crowds comparable to Gasworks on the Fourth of July (ahem, Seattleites). If you want a seat on the grand lawn facing the Buddha, come very early to secure your spot. The release happens between 7:30 and 8pm, I recommend arriving at 6pm at the latest. Mae Jo is only 13km from Chiang Mai center but there is plenty of traffic so budget 1 hour of transit time. 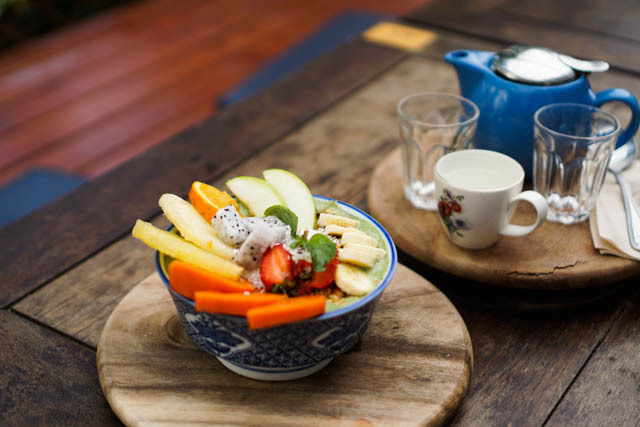 Some hostels arrange tours, but you’re better off doing it on your own. Your taxi or tuk tuk should know how to get there but it’s always a good idea to bring the address. 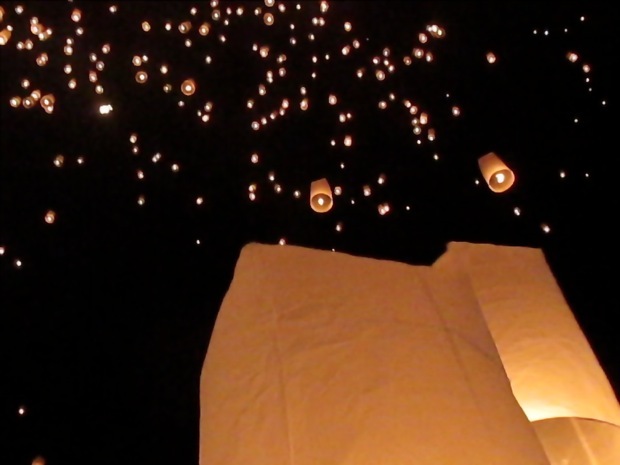 For more, watch my video from the Yi Peng Lantern Release. Bless you for being the person you are. So independent in your young life and willing to experience the joys and sorrows of love. I heard it said that we all will fall in love six times on average in our lives. I know I have and when the right one comes along, the journey and pain will be over till the end of time. Thank you for sharing from your heart, Camille. You are truly an inspiration even to us senior citizens who are following you in your life journey. This is so beautiful and well said; thank you for your raw vulnerability in sharing your experience. I couldn’t have come across this at a better time in my own life, and found it quite fateful that I just read an article on EJ (in case you haven’t seen it, it was this one: http://www.elephantjournal.com/2013/11/puzzle-pieces-letting-relationships-end-sara-courter/) that echoed some of your same themes. Thank you! Can’t wait to read more of your journey! What a poignant and beautiful blog post today, Camille. Thank you for your authenticity. You are an amazing young woman and you have a fantastic life ahead of you. Thank you Carmela, your compliment is touching. This is beautiful. So brave and strong, yet vulnerable too. It’s ok for the path to take some zigs and zags (sometimes that’s where the most fun is!) but also sometimes where the hurt is the deepest and most profound. I imagine the beauty of watching your lantern float away and join thousands of others was beyond any words and helped put this into perspective. This post resonated with me so much, I read it to my friend I was driving with. Thank you for being vulnerable and capturing exactly how I’ve been feeling for the past few days (/years). <3 Much love to you soul sister. Thank you Keli. What beautiful words you shared. Yes you must must go to the lantern release. I plan to go again, and again, and again! From my age in my 50s I look back at those fleeting romances… With a smile. I can assure, back then I was not smiling. I too got afraid of having romantic affairs because of fear of rejection and loss… But I realized, you can not own anyone. The earlier post is right… You will have more loves in your life. They are a gift. Going through the process is the only way forward. Thank you Colin. Hope we meet up somewhere soon 🙂 Enjoy Myanmar. Thank you Jesse, what a kind comment! Good luck in Costa Rica, let me know if you need any advice! I am so glad for you that you had a few days of sheer joy and mindfulness. Joanne, thank you for your comment. Sending you lots and lots of love!! I think of you as well.